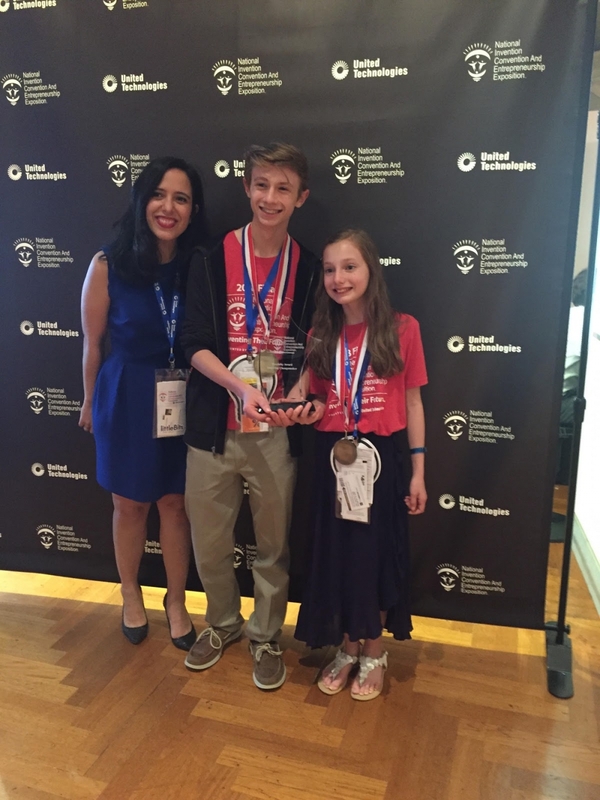 The Henry Ford Museum Of American Innovation hosted the 2018 National Invention Convention and Entrepreneurship Expo (NICEE 2018), where Joey and Heidi Hudicka, now 16 and 11, won First Place in the 10th-12th Grade Category, before being celebrated further through winning the prestigious 2018 Inspiring Changemaker Award. Their entrepreneurial head start has taught them valuable life lessons about the power of their creativity, which they now teach to students and professionals through their business, Fizzee Labs, creator of innovation learning tools. [Press Release] New Jersey - June 3, 2018 - When Joey was asked what it meant for him and his sister Heidi to be selected to present their invention at NICEE 2018, Joey said, “Wow! I mean 110,000 kids like us submitted their ideas this year, so for Heidi and I to be just two of the mere 450 lucky kids that made it to Nationals, well that’s literally ‘Outta this World!’”, referencing Joey and Heidi’s invention, an educational board game called OUTTA THIS WORLD!, which teaches an accelerated invention process, which they created. But this spirited team of sibling inventors were not done celebrating the fruits of their hard work yet. NICEE 2018 offered a very prestigious award Category titled, “The Inspiring Changemaker Award”. The Inspiring Changemaker Award was presented by Azi Jamalian, PhD, Head of Education Strategy at littleBits, an innovative education company which makes technology kits that are fun, easy-to-use, and infinitely creative. With all of this excitement, momentum is building for this young team of go-getters. “We are so excited because teachers from across the United States, and even from amazing places like Singapore, and China, Latin America and Australia, and even Europe are reaching out to us asking how they can bring our gamified education to their students.”, shares Joey. “Yeah and what’s really fun is when we get to visit their schools and speak directly to their students, and even play a round or two of OUTTA THIS WORLD! together, because we get to show more kids that they can be just like us.” shares Heidi. Heidi also added some great advice to future innovators, “Just put your creativity to work at solving a problem you see, and next year, you can be presenting your invention at NICEE too!”. These packs are great for classrooms and community organizations interested in hosting Innovation Fun & Learning Events. Founded 2014, Creator of Entrepreneurial & Innovation Learning Tools and Events from Classroom to Corporate Environments, business founded by Joey, Heidi, Lora and Joe Hudicka. This STEMIE Coalition-fueled National Invention Convention and Entrepreneurship (NICEE) event is an annual celebration of K-12 inventors and entrepreneurs from across the U.S. This far-reaching forum is the marquee event of The STEMIE Coalition. The event provides a live, in-person opportunity for youth inventors and entrepreneurs in grades 3-12 to display their critical thinking skills through inventing, innovating, and entrepreneurial activities. NICEE 2018 is presented by United Technologies Corporation.